Come see us on Nanaimo’s Harbourfront Walkway! For 25 years this shop was has been serving Nanaimo citizens and tourists of all kinds. 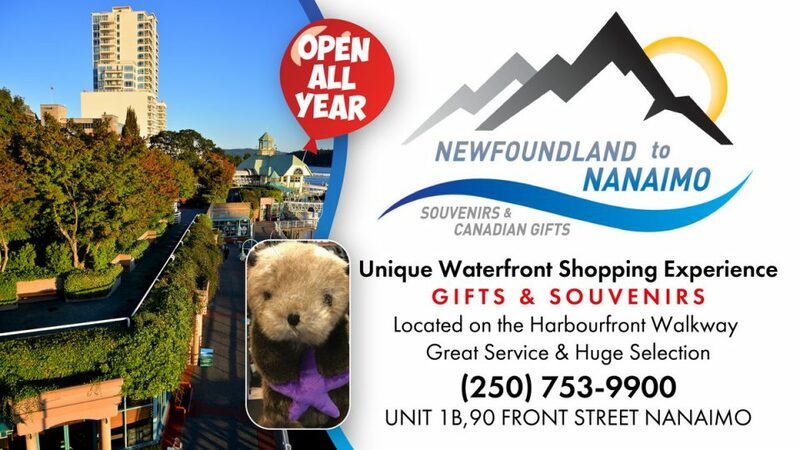 Located on Nanaimo’s waterfront offering a selection of gifts (we have postcards!) jewelry and other special treasures locally made and from across Canada. In addition to unique gift items for all occasions, we carry a variety of well-known brands such as Oscardo, Native Northwest/Garfinkel, A.T. Storrs Jewelry, Basic Spirit Pewter & the original “Who Cares” Clock. We are proud to carry popular locally made items from artists including A2Sea Creations, Mussels & More Pottery and The Foundry Glassworks. We accept debit/Interac, Visa, Mastercard, American Express, UnionPay. We accept cash and offer competitive U.S. exchange rates. We are a family business and look forward to serving visitors to Nanaimo, Exchange and Foreign students, Tour Groups and local residents. The store is open YEAR ROUND and we can provide shipping for any item upon request.